We are committed to seeking justice for our clients and protecting their legal rights. We are advocates for those suffering from injury and illness. We are advocates for those who need debt relief. We care about each one of our clients and stay with them as long as it takes to resolve their legal problems. Well-educated, highly trained attorneys with substantial experience appearing for you at hearings and trials. An effective staff to respond to your inquiries and keep you advised of the developments of your case. The legal resources necessary to pursue your interests and protect your rights. 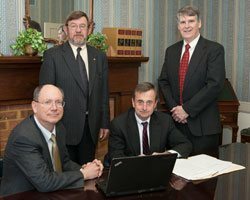 Our attorneys are available to serve clients throughout the Southwest Virginia. Call us at 1-800-520-2667 or fill out our contact form to discuss your case.